So guys health is not a joke and although some think they can cheat their body by slipping one very bad meal, every bit counts. We’ve all watched Super Size Me and know the effects of fast food! So be careful and eat what is good for your heart, your arteries, your whole body! You only live once might as well live good! Check out with link with Dr. Oz who tells it to you exactly how it is! So scientist have been studying how Traffic pollution may have a strong link to children being diagnosed with the neurodevelopmental disorder of Autism. Autism is present from early childhood and is characterized by impairment in communicating with others and difficulty forming normal social relationships, moreover it is characterized by repetitiveness of behavior patterns. It seems that being exposed to high pollution, as a pregnant mother or a new born child, it affects your risk of developing autism to a great deal. Therefore it is important to take into consideration for our young loved ones, or those to come in the future; stay away from pollution, as it does in fact interfere with healthy brain development! If you live near a freeway or in a location where you are exposed to Pollution at a high rate, you are in fact at an increased risk of developing a neurodevelopmental disorder as Autism. Please be Aware and Be safe! Please Pass this along to those that may be exposed to such dangers. 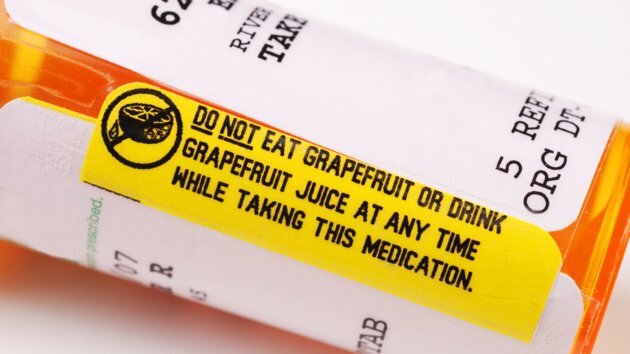 Some drugs, mixed with Grapefruit, can cause Deadly Reactions! Who Would have thought such a healthy fruit can cause such a deadly risk. What seems to be the case is that the chemical ingredient in Grapefruit allows more drug to be absorbed by the body, causing an Overdose! Some risks are sudden death, kidney failure, respiratory failure and much more. Check out the links below for more details and remember to Be Aware! Doctors say the fruit can intensify the dosage of some drugs, possibly leading to sudden death, kidney or respiratory failure, and internal bleeding. Chemicals in the grapefruit suppress an important enzyme in the human body, said Paul Doering, professor emeritus of pharmacy at the University of Florida. “If grapefruit juice is there first, it kind of takes hostage the systems that get rid of the drug and inactivates them,” allowing more of the prescription medication to get into the system, he added. Researchers say the interaction can occur even if the grapefruit or its juice is consumed many hours before medication. Studies show that doing exercise extends one’s life in a few years. So it seems, if you are not active, you are reducing your lifespan in a few years. You don’t have anytime during the day to do a quick workout because you are either lazy, no time, or simply don’t care for it. Most people chose the easy way to go in their lives and don’t bother making a difference that will benefit them. Unfortunately if you don’t want it, you won’t do it. I have been getting an all new source of information, my best friend has been randomly hitting me with more links than I can view, so bear with me because you will be seeing a lot of new and interesting information with consistent education! So here is the great and beneficial Avocado. Avocado is a delicious and very healthy fruit that has various means of preventative compounds that keeps you away from some diseases and makes you feel completely revived! Avocado can be eaten and can be used on your skin; it has benefits to both your health and your beauty. I can go on and on and bored you by repeating the details in the videos, however I will give you an opportunity to enjoy some nice music and some excellent information. Enjoy!